Halloween candy is in the bargain bin and holiday sales are on the horizon, which means it's time to start thinking about 2019. For fitness professionals, that means anticipating what the top exercise trends will be next year. To get an idea of what's in store for the future, the American College of Sports Medicine surveyed thousands of fitness professionals about health and fitness trends via an electronic questionnaire. The results went public this week in ACSM's Health and Fitness Journal. Respondents were asked to rank 39 possible trends—25 of which were trends from previous years—from 1 (least likely to be a trend) to 10 (most likely to be a trend). ACSM received 2,038 responses from across the globe, from ACSM-certified professionals, subscribers to FIT (their content digest), and more. This is the 13th year of ACSM's annual survey, and each time around, it hones in more specifically on the nuances of the industry. (Last year, for example, the survey asked participants about "dance workouts." This year, the question was specified to "dance-based workouts," to phase out the workouts where dance isn't the primary form of exercise.) The point is to give every establishment from gyms to businesses to corporate wellness programs an understanding of what's going on in the industry. If you're passionate about working out, it's probably interesting intel for you, too. 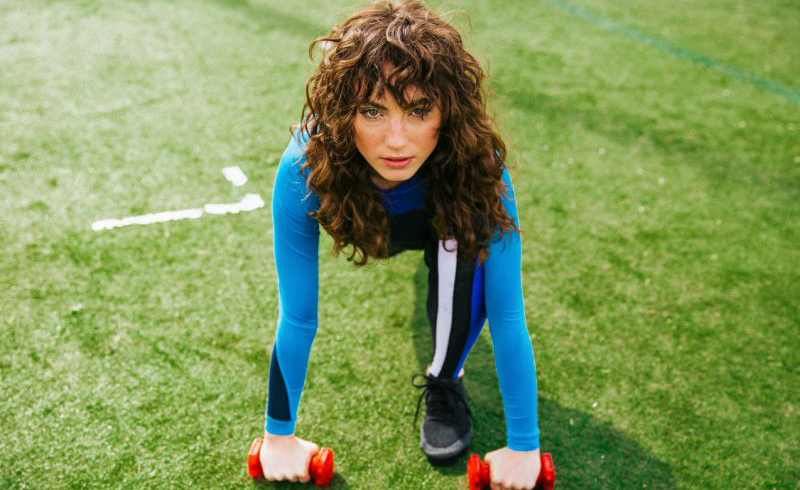 Ahead, the top 10 predicted fitness trends for 2019, according to the pros. Wearable technology, like smart watches, fitness trackers, heart monitors, and more, has ranked in the ACSM's top three trends every year since 2016. 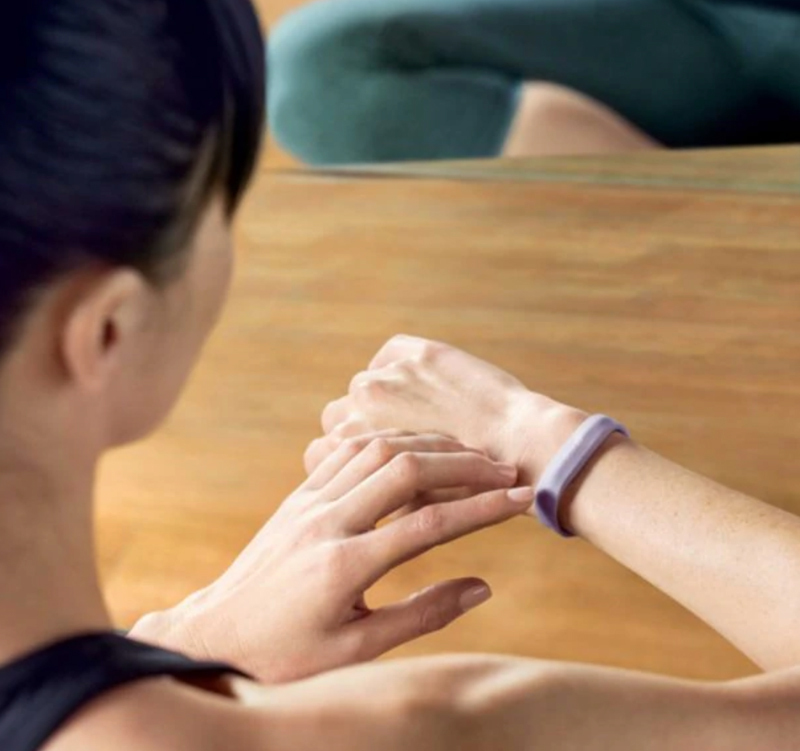 The merging of fitness and tech shows no signs of going anywhere, so expect to see even more ways to track and monitor your fitness in 2019. ACSM defines group training as any workout with more than five participants. It first appeared among its top 20 trends in 2017, and innovation in the industry—like online group workout classes—are keeping it high on the list. HIIT took the top spot in 2018 (and in 2014), but despite its small drop, experts still see it playing a big role in the industry this coming year. A HIIT workout, according to ACSM, involves "short bursts of high-intensity bouts of exercise followed by a short period of rest." They're usually 30 minutes or less, though they can be longer. But the main point is to get a quick and very efficient workout. The best part? You can try a HIIT workout right from your living room. As the population ages, it's only sensical that fitness offerings would age along with us. These programs "emphasize and cater to the fitness needs of the Baby Boom and older generations," says the ACSM. Which is wise, considering exercising is a great way for people to maintain bone density and muscle mass as they age, plus reap the numerous other health benefits that come with being active. This modality uses just your bodyweight—think push-ups and planks—to get you sweating. We're big fans of no-equipment or DIY equipment workouts because they're extremely convenient—great for any time, any where. And, well, they work. Your body itself is truly a great resistance training tool. As the fitness industry grows, there's an increased importance and emphasis on hiring certified professionals. ACSM predicts that next year, just like last year, the industry will continue prioritizing hiring professionals that have been accredited through "educational programs and certification programs that are fully accredited for health/fitness professionals." No snake oil here, please. The ancient practice has been on the list for many years. ACSM notes that in 2018, yoga has taken on many forms, like "Power Yoga, Yogilates, yoga in hot environments," and more. Now that we've seen goat yoga, who knows what other forms of yoga the future holds? ACSM defines personal training as "fitness testing and goal setting with a trainer working one-on-one with a client." It's been one of the top 10 trends since the survey first started 13 years ago, but now, we have innovative iterations like online personal training to make it even more accessible. One of the most practical items on the list, functional fitness training is using exercise "to improve balance, coordination, strength, and endurance to improve activities of daily living." A squat, for example, is a functional exercise because it can mimic the motions it takes to bend down and pick something up off the floor. According to ACSM, this trend is on the rise in part thanks to the increase of fitness programs that cater to older adults. Exercise Is Medicine is ACSM's own global health initiative that encourages health-care providers to get their patients on an exercise regimen and analyze physical activity as part of regular check-ups. Since the survey was sent out to mostly ACSM members and affiliates, this is a bit of a self-selecting pool. A few of our favorite trends didn't crack the top 10, but that doesn't make them any less worth talking about (and trying at home.) At #14, "Mobility/Myofascial Devices" are on the rise from #15 in 2018 and #20 the year before. Foam rolling isn't just for pro athletes; it's a popular recovery method many exercisers use to release tight muscles and increase range of motion. "Outdoor Activities" (#17) is also on the rise for next year. The trend is self-explanatory; it includes activities like group walks, group bike rides, or hiking trips. Whether or not it's trendy, there's always just something so badass about climbing a mountain.